Rick moved into Shawford 13 years ago but has lived and worked in Hampshire for 30 years. He became a Parent Governor in 2010 when both of his sons still attended the school and was happy to accept an invitation to become a Foundation Governor in 2014. His work at Fawley Refinery keeps him busy but he still finds time to cycle, swim, garden and enjoy the odd Saints game in between taxi-driving duties. Rick is a Foundation Governor and sits on the Resources Committee. Keith and his family have lived on Otterbourne Road since 1986. All his three children attended Compton School and he is passionate about the pastoral care that children attending Compton recieve. For his day job Keith is the MD of a medical device company based in Basingstoke. For his weekend job he is one of the Lay Readers, (Licensed Lay Ministers) who take the services in Compton, Otterbourne and Hursley Benefice. For his full time job he is grandfather to seven. Keith has a particular interest in children with special educational needs as one of his grandchildren has Williams Syndrome. He is a Foundation Governor appointed by the Diocese to maintain, with the other Foundation Governors, a special focus on the Christian Ethos of our school. Charlotte has lived in the parish for more than 40 years and says her children had ‘a fantastic start’ when they came to this school. She has been a Governor for more than 16 years. She believes her role as a Governor is to support staff in making sure that all the children share in a high-quality education and contribute to a caring community. Her professional background was in primary teaching. She served the community as a City, then County, Councillor for 13 years. 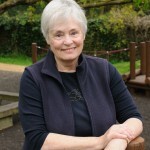 She continues to work for various local charities and her hobbies include singing, gardening, cycling, camping and social history. Charlotte is responsible for helping Governors get the training they need to enable them to do a better job. Charlotte is a Local Authority Governor and a member of the Resources and Curriculum Committees. Allison is a Staff Governor and a member of the Resources, Curriculum and Admissions Committees. Suzanne and her family have lived in the Winchester area for over 10 years and have been in Compton for the past 6 years. Suzanne has three children at Compton All Saints’ and is keen to support and contribute to the overall educational experience all children receive at the school. Professionally, she works part-time as a senior legal counsel to a global financial services company. Suzanne is a Foundation Governor and sits on the Curriculum Committee. Fiona Mordecai represents the teaching and support staff on the Governing Body. She has worked in education for 32 years, as class teacher, specialist music teacher, senior teacher, deputy headteacher, headteacher, booster teacher for Y6 and now as class teacher for Year 3 and 4 at Compton. She is particularly interested in curriculum design – how most effectively to shape the educational experiences children have, and how best to involve the children in contributing to the organisation and structure of their learning. She is currently working part-time, although teaching, planning and researching still fill many hours. Fiona has two teenage sons and enjoys yoga and listening to music. Fiona is a Staff Governor and a member of the Curriculum Committee. William is the Rector of All Saints’, Compton and an ex-officio member of the governing body. His benefice includes Otterbourne and Hursley, both of which have Church of England primary schools. He is also a governor of John Keble and Ampfield CofE Federated Primary Schools. He is involved in the life of all three, taking regular assemblies and assisting with RE when asked. William came to the benefice in 2008 from Guernsey where he had been a Rector for ten years. He was ordained in 1993 when he was 36, following a career as a computer systems manager in London. He is married to Alayne, a teacher. They have three grown-up daughters. William is a Foundation Governor and member of the Admissions Committee. Jenny has lived in Compton Street for 26 years. She was Head of Maths and Deputy Head of a local secondary school. Her passion in life has always been maths and she still tutors pupils for A-level and GCSE. She hopes that she can still bring some of her enthusiasm for the subject to the Maths Master Classes she runs for Year 6 before their KS2 exams. She is an active member of All Saints’ Church and takes an interest in the religious life of the school. 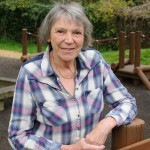 Her involvement with many local groups integrates her firmly into the local community and her husband is the webmaster for the Compton Parish Council and edits the parish magazine. Jenny is a Foundation Governor and a member of the Admissions Committee. John is a Foundation Governor. 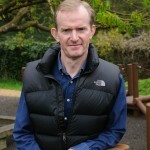 He is a former Assistant Director of Education for Hampshire and has been head of two primary schools. 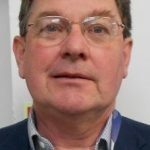 A former tutor/lecturer at Cambridge University’s Department of Education, he was also Chief Inspector of Primary Schools Hampshire and a former national adviser on Primary and Early Years Education. He served on the Winchester Diocesan Board of Education for fifteen years. He lives in Shawford and is a member of All Saints’ Church PCC. Married to Myra, they have two grown up children and seven grandchildren. 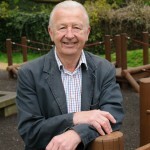 John was awarded the OBE in 2005 for Services to Education. It is through his ‘Education Uganda’ charity that Compton has links to the Railway School. John is a Foundation Governor and a member of the Curriculum Committee. Hannah lives in Winchester with her family, having recently moved from Bath where she lived for over 10 years. Hannah has two children at Compton All Saints and is keen to support the school. She is a chartered landscape architect who works on a freelance basis to accommodate her young family; her professional experience includes designing many schools (existing and new build) across the south of England; she has also worked on the ‘Building schools for the future’ scheme – a government initiative (which no longer exists) to redesign schools and their grounds across the country; this involved working closely with local authorities as well as “Learning though Landscape” – a charity that is passionate about creating stimulation outdoor learning & play experiences for children. In the brief moments of leisure time she enjoys painting, gardening, walking and is an active member at her local church in Winchester. Hannah is a Parent Governor and a member of the Curriculum Committee.